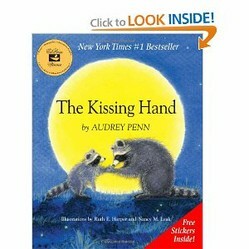 The Kissing Hand tells the story of Chester Raccoon whose mother encourages him on the first day of school by placing her special kiss on the palm of his hand. Children experiencing the anxiety of leaving Mom or Dad's side will love reading about Chester Raccoon who was nervous about his first day of school. Chester's mother has a brilliant idea of how to let Chester know that her love follows him wherever he goes. Your family can use her idea to help your child through this difficult transition. The first day of school can be heart wrenching for both child and parent. Especially for a child who is leaving Mom or Dad for the first time, separation can cause a great deal of anxiety. What better way to overcome the challenges of separation than with this endearing story about a little raccoon who is hesitant about leaving his Mom to go to his first day of kindergarten. When Chester tells his mother on the first day of school that he cannot bear to leave her, she encourages him with a special gift. She kisses the palm of his hand and tells him that if ever he feels lonely, he can put his hand against his cheek and her kiss will be there, showing him he is loved and thought about. He needn't worry that he is alone because her love goes with him wherever he is. What child has not had moments when he has felt alone and sad to be separated from Mom? And what mother, for that matter, has not had her own moments of not wanting to let go? Chester has a solution for his mother, as well. He plants a kiss on her palm and tells her she, too, can put her palm against her cheek when she feels lonely for him. This is the part that pulled at my heart strings. Moms often cry on the first day of kindergarten, too. When I worked in a preschool, I witnessed many tears on the faces of both children and their mothers. These tears are nothing to be ashamed about. They are a sign that mother and child are firmly bonded, which is important for any child's healthy development. But sometimes, positive though this sign may be, teachers need to help both sides deal with the feelings underlying these tears. Stories help children deal with their emotions. An early childhood teacher can build a little unit around the story of Chester Raccoon and his mother using the book, the Chester Raccoon puppet, and a baking activity to make heart-in-hand cookies. The children can eat one of these cookies at snack time and can take home a cookie to share with someone special that he or she misses. In this way, the children will be encouraged to work through their fears and will be more able to express their feelings of love to someone at home. 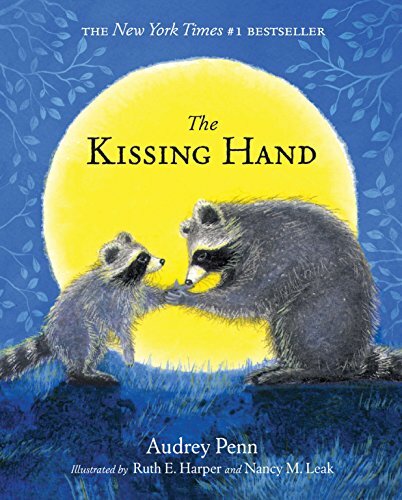 Chester the Raccoon from Audrey Penn's The Kissing Hand 9"
Share Your Heart with a Cookie! Audrey Penn has written a few other books that expand on Chester and his mother and the issues that sometimes come up in childhood. In one book, Chester is afraid of the dark and needs his mother's reassurance that he is safe. Another story deals with the difficulties of leaving a well-loved community and moving some place new. This situation is a reality for many kids whose parents get a job in a different community or who need to move for one reason or another. 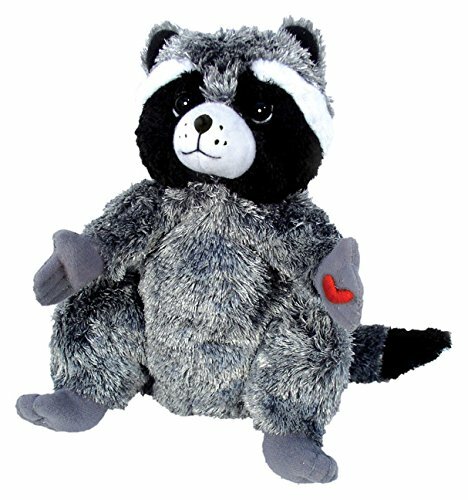 Chester Raccoon can help a child readjust to a new home. Children's author/illustrator Eric Carle enters the world of the very young with his paper collage. Book puppets are fun for toddlers and their families. When you combine a story with a built in puppet, you are bound to hear the giggles. Tomie de Paola's children's books have a distinctive charm. De Paola's subject matter delights young children. Here are some of the books in which Tomie shares his faith. Entertain your children and help them prepare for Christmas with one of these finger puppet board books. Christmas story, Santa Claus, Counting Books bring baby's Christmas alive. Comments: Are You Familiar with the Kissing Hand Books? These books really speak to a child's worries. They also help parents with their own reluctance to let their children go. 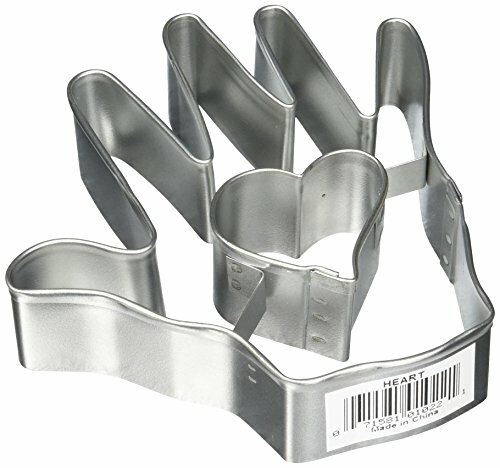 I haven't heard of the Kissing Hand books, but what a cool idea. Poetry written for kids has a lot of rhythm and rhyme. Children's poems delight children and adults alike! Fiona was born behind the dressing room closet wall at the Noodle Soup Community Theater. A children's book about friendship, courage, and how even a little mouse can save a life. Tomie de Paola is a beloved author who has written and illustrated several children's books on the theme of Christmas. Come explore what he has to offer.